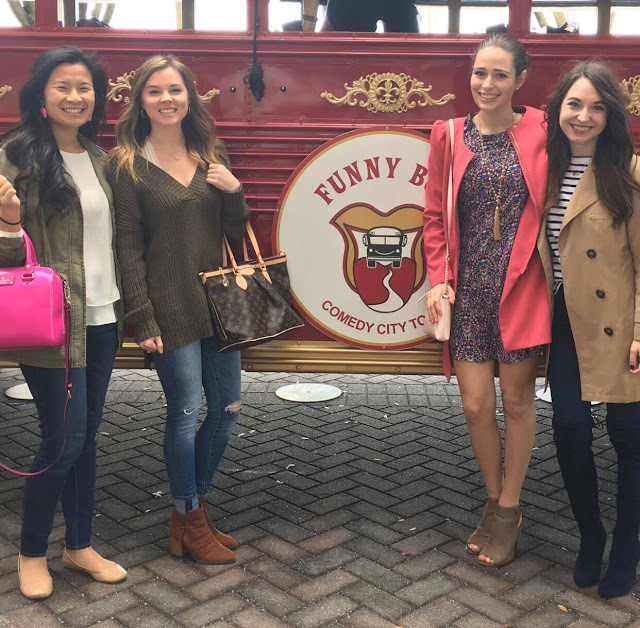 Riding the Funny Bus: This past weekend was the first meet-up of 2017 for my regional group for the InfluenceHer Collective Blogger Network! 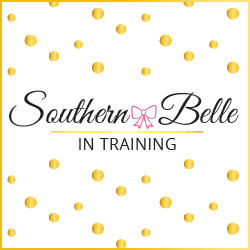 (I'm the Charlotte area regional chair for the IHC group, which means that I get to plan fun blogger meet-ups a few times a year!) We kicked off our first 2017 meet-up by taking a ride on Charlotte's Funny Bus. This is a comedy bus tour which takes you through Uptown Charlotte, and some surrounding notable neighborhoods. I've been wanting to do this for the last several months, and thought it would make a really fun blogger meet-up event. Well- this completely exceeded my expectations! Our comedian tour of Charlotte was absolutely hilarious, and he had me laughing during the whole experience. Even though I've lived in Charlotte for a few years now, the bus went down streets that I didn't know were there, and I learned so many new fun facts about the city! I would definitely recommend this as a fun weekend activity for anyone who is both a Charlotte local, or any out-of-town visitors. Bridesmaid Humor: I'm going to be a bridesmaid for the first time this spring, in my sorority sister Perrin's wedding. This week the bride-to-be sent all of us bridesmaids this hilarious Buzzfeed article... if any of you have been in a wedding or are also preparing to be in one, I think you will enjoy this!! Faith posts! At least once a month this year, I'm hoping to share more personal/relatable content here on the blog. By this, I mean blog posts that are on topics about faith, relationships, or some other topics that might be a bit heavier than my normal fashion posts. These are the types of posts that I used to write a lot in the early days of my blog, but with each year that goes by they seem to be phased out more and more. Hopefully this year they can come back. Stay tuned for the first one on Friday! How pretty is this pink dress? It's amazingly under $20, and would be a perfect Valentine's Day look. In last Wednesday's post, I shared the laptop case that I'm currently crushing on. Sharing that got me thinking how I'm actually in dire need of a new iPhone case! I haven't upgraded my case since I got my most recent phone in May... and every day more and more of the decoration on my case peels off- ha! How cute is this pretty iPhone case? Would be so perfect with spring coming soon! My question for y'all this week: what was something fun that you did this weekend? Share with me in the comments! Looks like you had a really good time on that funny bus! I loved watching your insta stories. Oh my gosh, that funny bus sounds so cool! I want to go on something like that! I totally relate with the minimal spending, trying to save to travel and being on a student budget makes that hard! So bummed I couldn't make it to the meetup- looks like y'all had a great time and I can't wait for the next one! I also can't wait to read more faith posts! I really wish more bloggers lived close to me! Those meetups look like so much fun. I totally understand being on a student budget. Hope you had fun on the funny bus! LOL love that article! Also that pink dress is so pretty. Y'all are the cutest! Looks like you had a fabulous time! That bridesmaid article is hysterical! I've read that before - I love it! This looks so fun!! haha I totally get where you are coming from with balling on a budget! OMG the bridesmaid article is so funny!